Mulholland Books is one of my favourite publishers, releasing a whole range of excellent thrillers and fiction. Here are a few upcoming novels I’m looking forward to — I’m sure there are more, but these are the only ones I could find information about. What if the only way to go straight is to break the law? Michael Ford has finally escaped his chequered past to lead the respectable life he’s always dreamed of, preparing to settle down with his fiance Annie. But the quiet is shattered when his brother, Jack, comes back into his life. Jack is a world-class con man who has finally overplayed his hand. He’s in way over his head in a conspiracy to steal a billion-dollar secret from the heart of the financial system. And in an effort to help his brother, Mike soon finds himself trapped by the dangerous men in charge — and responsible for pulling off the heist himself. With Annie’s safety on the line, Mike tries to figure out who’s behind the job — and realises the only way to keep the honest life is to return to his criminal past. But will he get in too deep to save Annie’s life? You may have caught my glowing review for Matthew Quirk’s debut, The 500. It was with considerable anticipation, therefore, that I awaited for his next book. 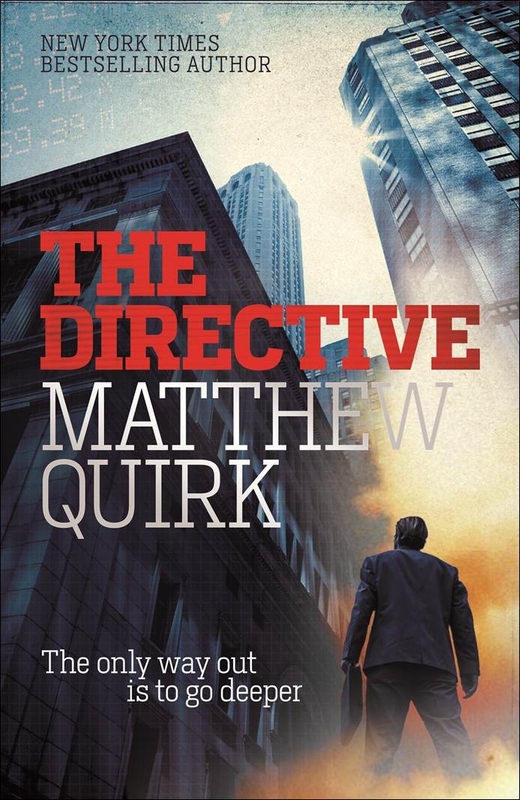 The Directive, a direct sequel, failed to live up to my expectations. There are some good things to say, but sadly it had just as many flaws as strengths and they eclipsed much of what I enjoyed.